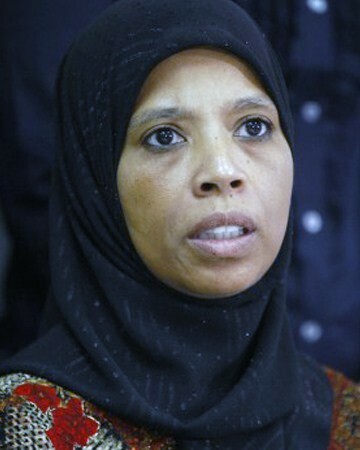 Khalilah Sabra of the Muslim American Society applauds Osama bin Laden. Osama Bin Laden cared unrelentingly about the Afghan Muslim children in the same way he cared about his own children. … He was a visionary who believed in the possibility of an Islamic state in Afghanistan and the possibility that this thing might someday be. There was nothing wrong with that dream, even if it differs from that one that all Americans have here for themselves. May 6, 2011 update: The Investigative Project on Terrorism provides background today on both Sabra and the MAS at "MAS Official: Bin Laden a 'Visionary.'" 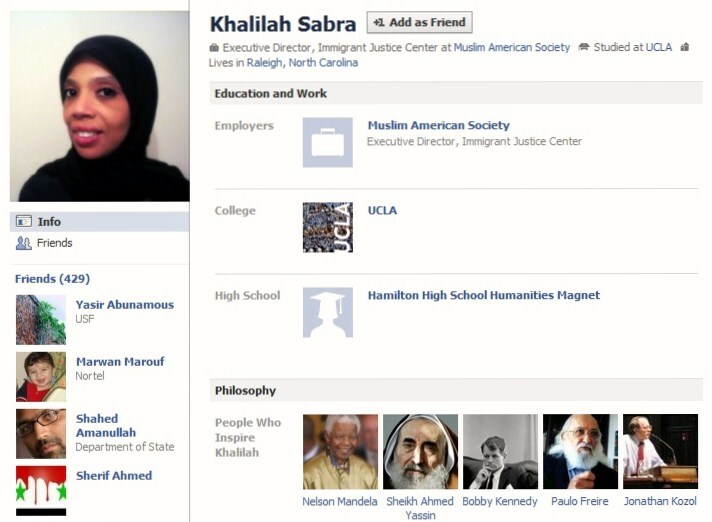 June 4, 2011 update: Also interesting: Sabra posts a picture of Ahmed Yassin, the Hamas leader, on her Facebook page as a person who "inspires" her. Sabra announces that Ahmed Yassin of Hamas "inspires" her.